For a lover of history and architecture, the Indian state of Rajasthan has always remained as a favorable location for all travelers visiting India from all quarters of the world. The famous Indian Thar desert in the state of Rajasthan along with a myriad of exquisite palaces, forts and lakes, Rajasthan has many stories to share with all the travelers, those who travel down to this historic city from all across the globe. Most of the cities of Rajasthan are dotted with architectural remnants of the bygone days. However, among all the regions, in the state of Jaipur, the capital of Rajasthan, which was once the house of the famous Rajput warrior clans, those who have lived in this region for decades and whose lineages are still today very much present within Jaipur. The Rajput’s were the patron of art and culture as it is very much evident from the existing relics that the Rajput culture and traditions indeed still stands aloft amidst the rapid urbanization of the city in the recent times. This subtle mix of history, archaeological findings, and modernism has made Jaipur one of the most-visited cities in the Indian subcontinent. 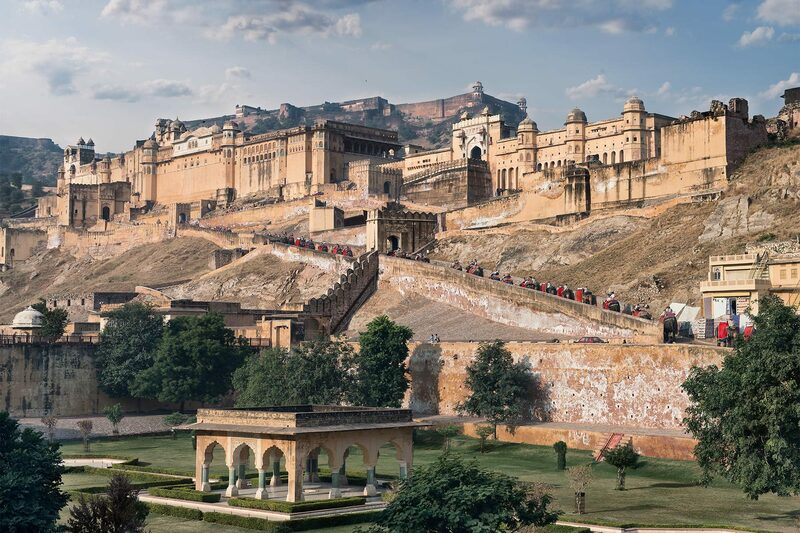 Of all the existing structure present in Jaipur from the time of the Rajput’s, Amer Fort is considered one of the most-visited places in this city. 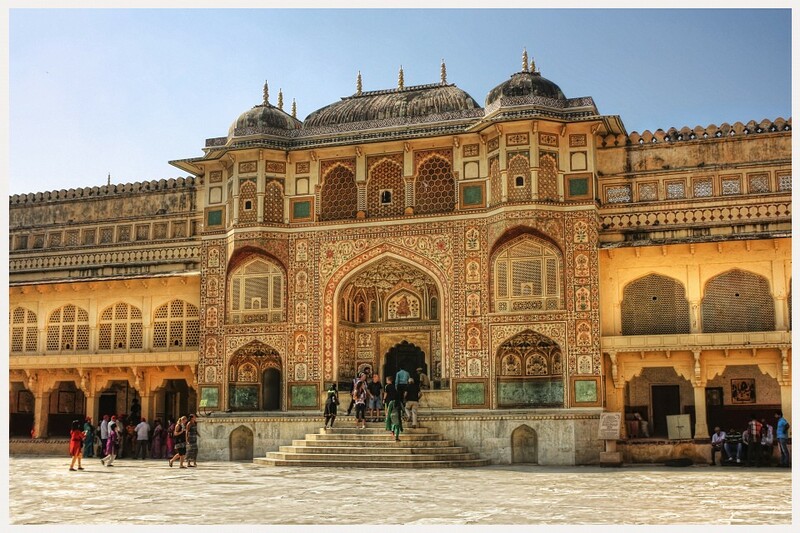 Amer Fort, also known as Amer Palace or Amber Fort was built by Raja Man Singh I who was also known as Maharaja Man Singh, in 1592 AD. Later, his descendant, Raja Jai Singh I, further expanded the territory of the fort and renovated several sections of the existing structure of fortress. With the course of time, some areas of the fort was destroyed, but what still remains as of it today, is enough to gauge the magnificent opulence of the fort during its glory days. 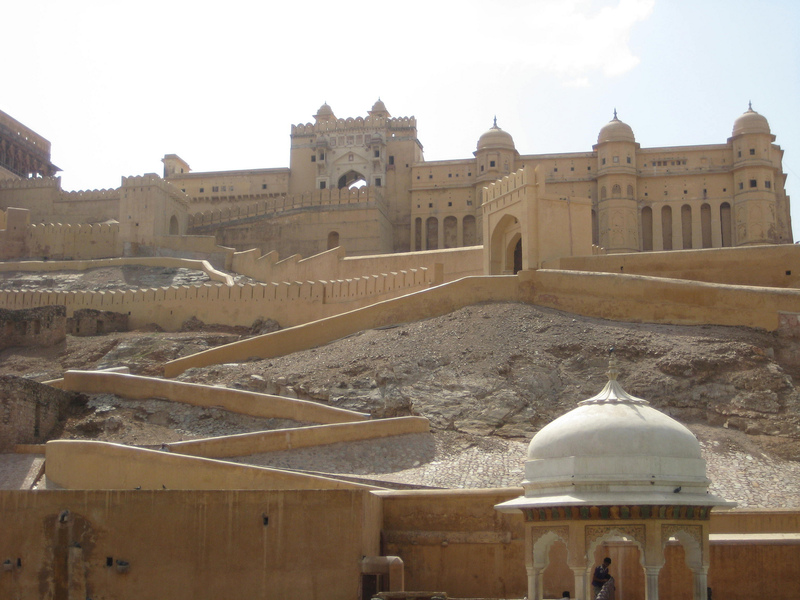 Amer fort is broken into four different sections with each of them having their own gates and courtyards. The main entry to the fort lies towards Jaleb Chowk and you need to pass through the Suraj Pole Gate, to enter the main premise. The Jaleb Chawk area was once famous for holding victory parades after the wars. The women of the royal families could also spectate from the back of the latticed windows which looked into the courtyard. The royal dignitaries visiting the fort used to enter through the Suraj Pol Gate. The horse stable was also located in the Jaleb Chowk area and the upper floors of the courtyard were once used as a residence of the royal guards. This is the main section of the palace and can be reached from the Jaleb Chawk via a magnificent staircase. To the right of the staircase is the Sila Devi temple, which was once the main place for the kings and queens to offer rituals and perform religious ceremonies. In order to enter the private area of the Maharaja, you need to pass through the Ganesh Gate which lies adjacent to this courtyard. The courtyard also houses a building of three-level structure adorned with spectacular frescoed art works. At the top section of the courtyard lies the Suhag Mandir – a chamber meant for the women of the royal family to watch any proceeding in the ‘Diwan-i-Am’. Here lies the ‘Diwan-i-Am’ where the Maharaja used to meet the local people of his kingdom to solve any crisis or grievance raised by them. 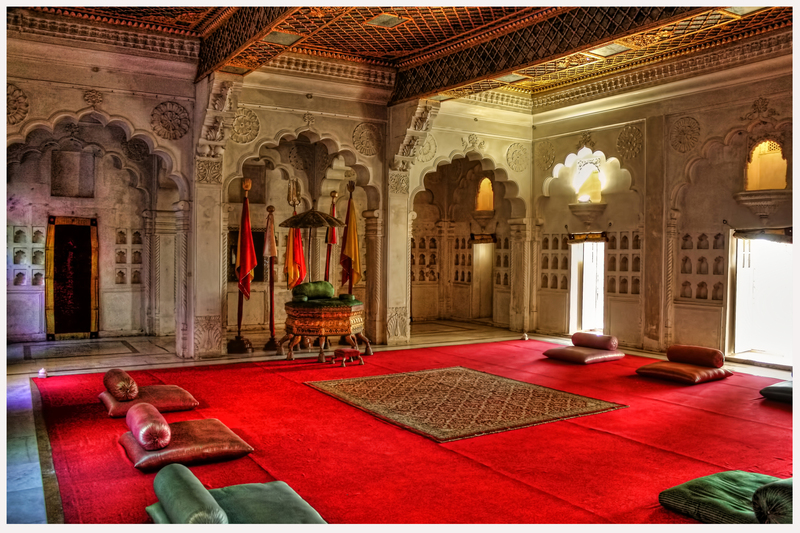 This third area is the private chamber of the Maharaja and his family. Approachable through the Ganesh Gate, the courtyard is beautifully decorated with various exquisite sculptures and awesome mosaic works. The courtyard has two buildings facing each other, separated by a garden. On the left of the entrance to the courtyard is the Jai Mandir or the Seesh Mahal. The convex-shaped mirror on the ceiling of Jai Mandir used to glitter in the night when the candles were lit during the Rajput reign in Rajasthan. Another building that lies in Courtyard Three is the Sukh Niwas (Pleasure House). 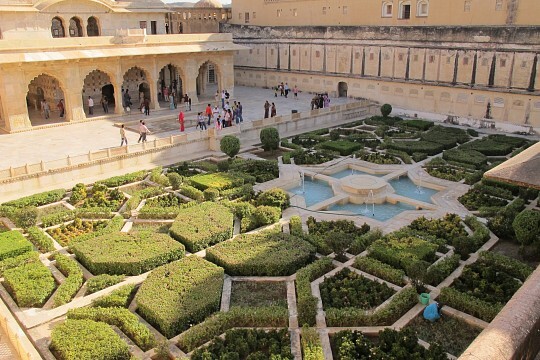 At the south of the third courtyard lies the royal palace of Maharaja Man Singh I. 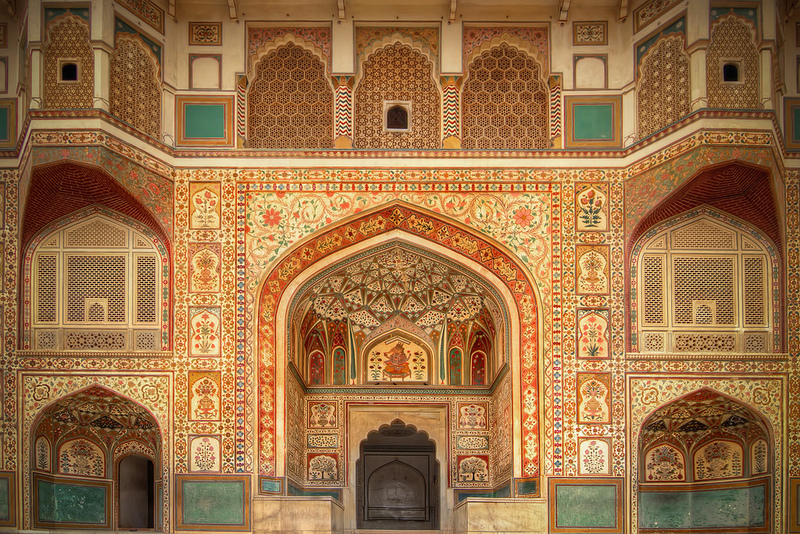 Built in 1599, the palace was richly decorated with colored tiles and frescoed artworks. 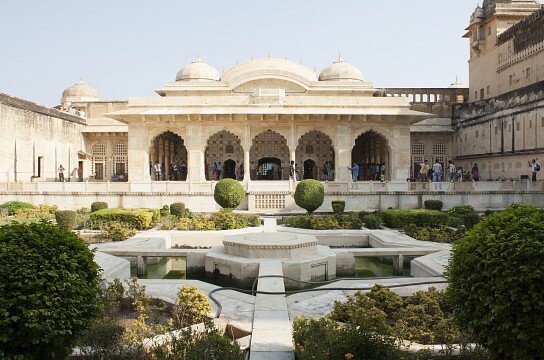 All the rooms in this historic edifice is surrounded by an open balcony and are connected to various other small rooms, to be used by the Maharaja. The Lion Gate, which leads inside to the private chamber of Maharaja, also rests in Courtyard Three. Another gate, Tripolia is also located in the third courtyard. 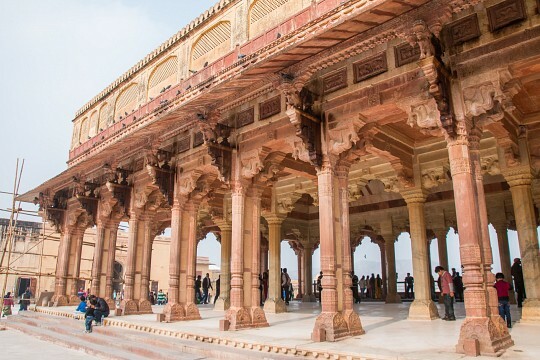 Tripolia means that the three gates have access to all three major landmarks in the courtyard: Jaleb Chowk, Maharaja Man Singh Palace, and the Zenana Deorahi. The fourth courtyard is better referred as the Zenana – which is a house for the royal women and concubines. The Queen used to reside in the Zenana along with other female members. Zenana was strictly for women and the only male member who was permitted to enter the Zenana area, was the Maharaja himself. Rajasthan is usually hot during summer because of the presence of the Thar Desert around the city. The best time to visit Jaipur would be from October until the end of March. 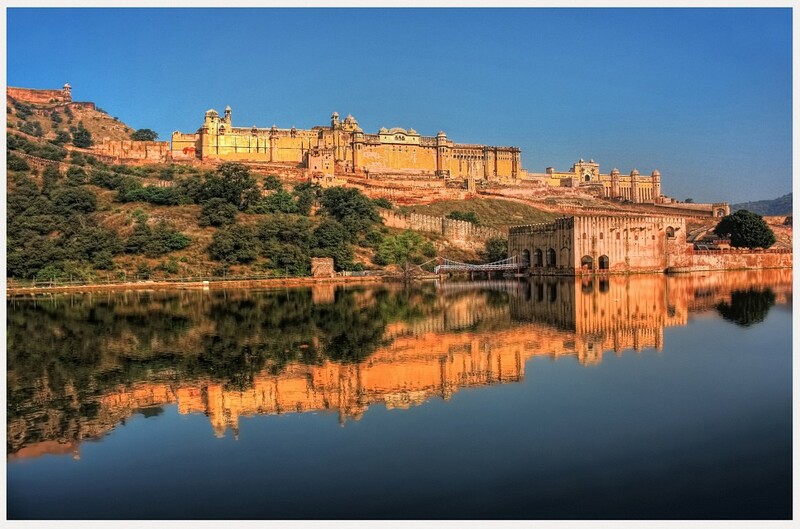 Amer Fort is located around 7 miles from the city of Jaipur. You can take any local bus, auto-rickshaw, or taxi to reach this famous location. The public bus departs from MI Road and Ajmeri Gate and it takes around 20 minutes to reach the front of the fort. There are three ways to explore Amer Fort. You can take a walk to reach the main gate of the fort, which takes around 10 minutes. Another option is to avail a jeep ride to reach the front of the main entrance of the fort. 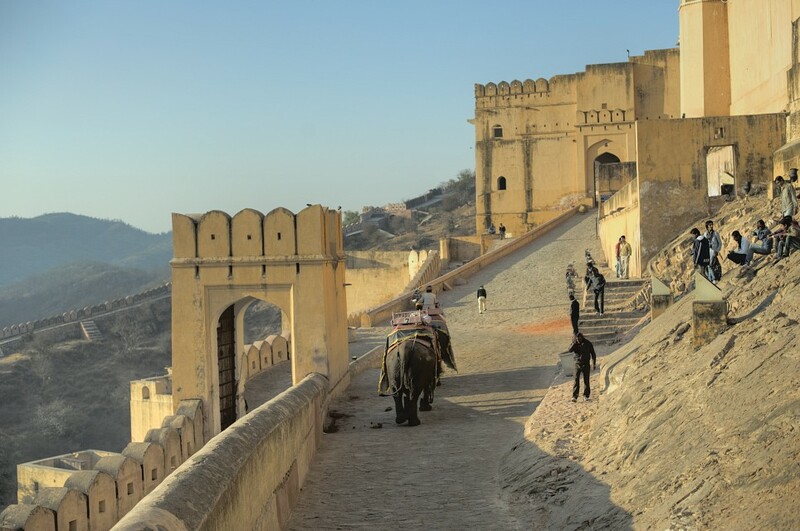 The third option (which all adventure seeking tourists love to avail) is to take an elephant ride, which will take you inside the fort, passing Suraj Pol, finally leading to the main courtyard, Jaleb Chowk. The historic pink city of Jaipur is well-connected to all the domestic locations in India via flight. However, there are not many international flights that reach Jaipur, except some direct flights from Dubai, Muscat, and Sharjah. 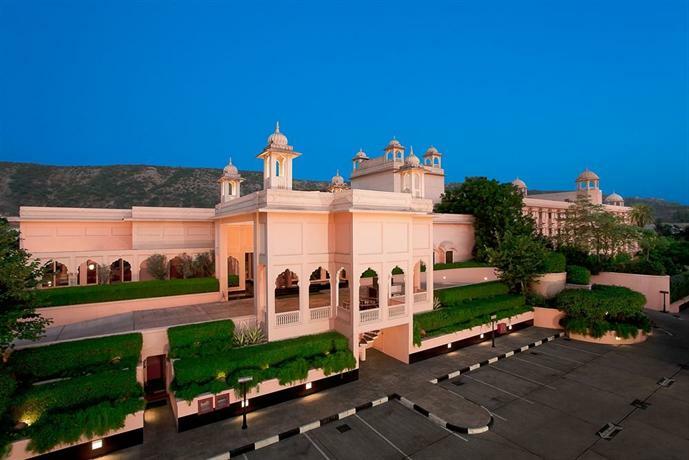 The best option would be to opt for a connecting flight to Jaipur from the international airport in Delhi, the capital of India. 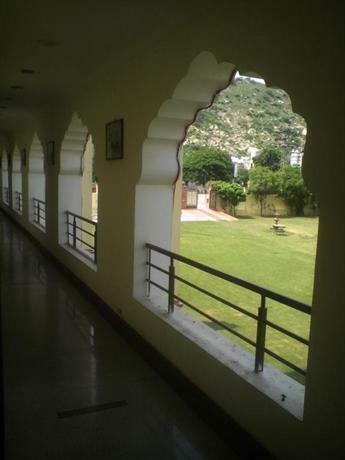 Jaipur is well-networked via train and is connected with all the major cities of India. Jaipur has an excellent road network and there are frequent AC-bus services from Delhi to reach this pink city. 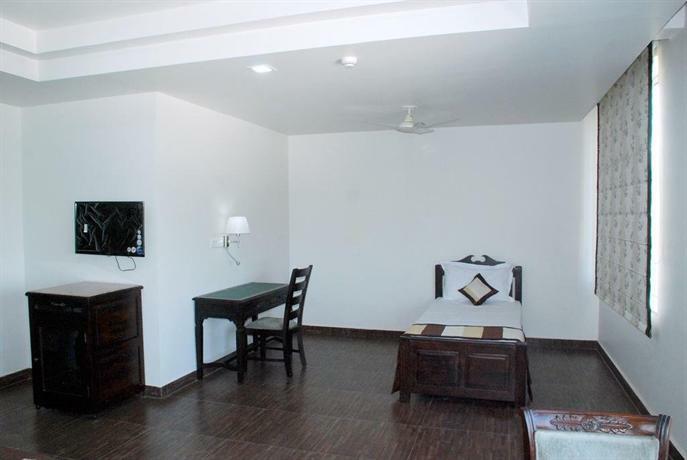 Jaipur is a tourist hotspot and there are a number of accommodations available to stay in this city. 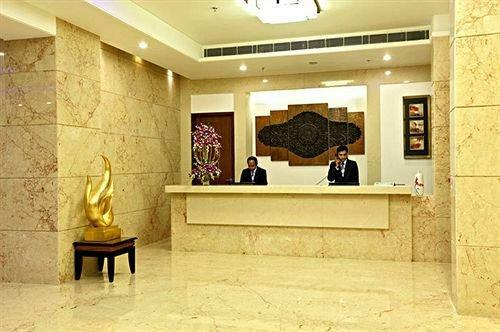 Some of the recommended budget hotels in Jaipur are Bhim Vilas, Explorer's Nest; Hotel Kalyan, Jaipur Inn; Karni niwas, Moon Light Palace; Pink City Guest house, Vinayak Guest House; Youth Hostel, Hotel Amanda Crown Jaipur; Deogarh Mahal, Umaid Mahal; Colonel's Homestead Jaipur, Hotel Classic Holidays; Hotel Mandakini Nirmal, Hotel Shalimar; Pearl Palace, Hotel Ramsingh Palace and others. 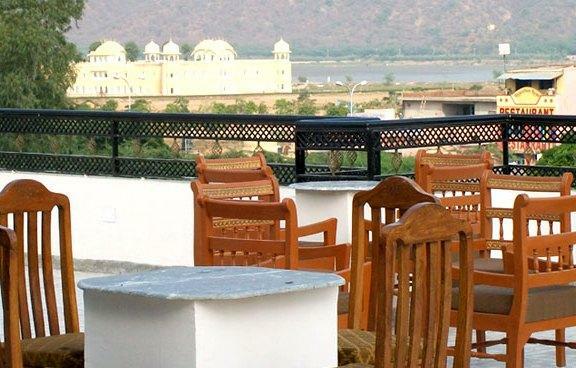 Jaipur also has some excellent hotels of high-budget-themed hotels and desert resorts. 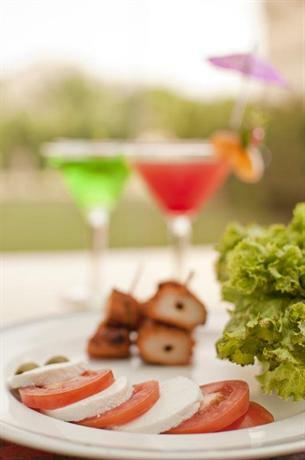 Some of the recommended are ITC Rajputana, and Taj Rambagh Palace Hotel- et al.